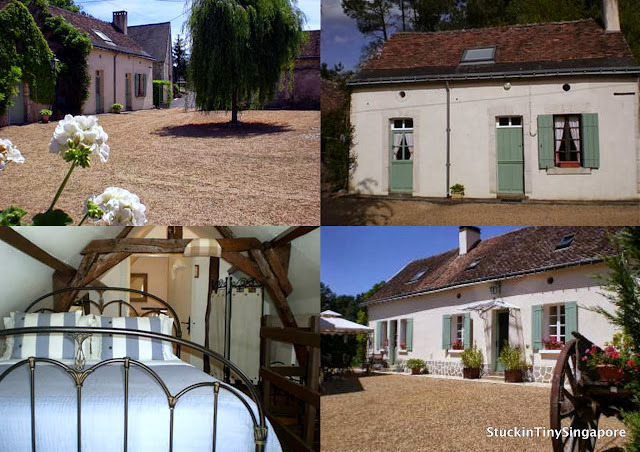 Stuck in Tiny Singapore: We went to France on a road trip and came back with a holiday home! We went to France on a road trip and came back with a holiday home! I am so sorry!!! I went AWOL for 3 more months!! !I thought moving back to the UK means a slower pace of life......but I am afraid it's not. Life has its up and its down, you can plan for everything but in the end, it is not going to go exactly as planned. We went to France on a two week road trip, a week in Loire Valley and a week in Brittany. Since the husband is French, he had always wanted to buy a second home in France. We toyed with the idea a few years back in the Perpignan area, but never took the plunge. We procrastinated for too long and the inertia kicked in and we ended up with nothing. So it was super out of character that we bought something. I found several properties that were interested and great value for the money, so I had arrange a viewing with the agent prior to leaving on our holiday. Three properties were lined out and the second one was a love at first sight. It had everything we wanted and more. So long story short, we went for a second viewing, two days later, made an offer on the day and had it accepted. One thing great about the French buying system is everything goes on smoothly. There is no gazumping like in the British system, so in less than 3 weeks time, the house will be ours!!! 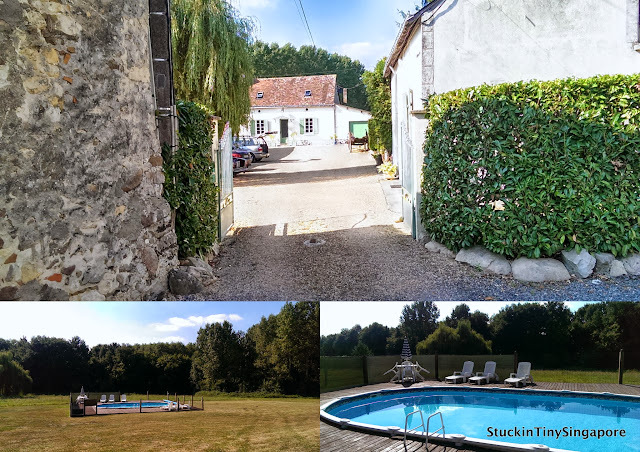 It is call La Coyere Gites, situated in the peaceful hamlet of La Coyere outside of Noyant in Maine-et-Loire area of the Loire Valley. It consists of 3 houses, the farmhouse (owner's accommodation) with 4 bedrooms, the Cottage with 2 bedrooms and the Wine Store with 1 bedroom. The Cottage and the Wine Store are let out as holiday lets or gites as they called it in France. And we will continue with what the previous owners did, and will continue to let it out as holiday rentals. This is why I have been busy with and have not been blogging. So stay tune to my new adventure of running a pair of French Gites. If you are looking for accommodation for your up and coming holiday in the Loire Valley, why not check us out. We are having Christmas promotions if you are looking for a short break for your Christmas/ New Year holidays. Check out our website at http://www.stayinloire.com for more details and photos.